Thats really sweet and clever too. 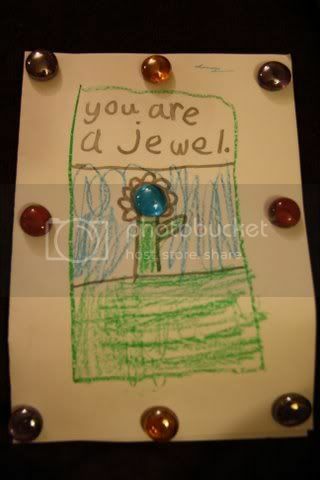 I can't wait till my children stop hitting each other long enough to make sweet cards like that. That is darling. So, so cute.